EXCELSHOWER tiene el placer de invitarle a su stand N2- P6 -A164 en CEVISAMA 2019, la feria de la industria cerámica, baño y piedra natural con más de 838 expositores de todo el mundo repartidos en más de 100.000 metros cuadrados. 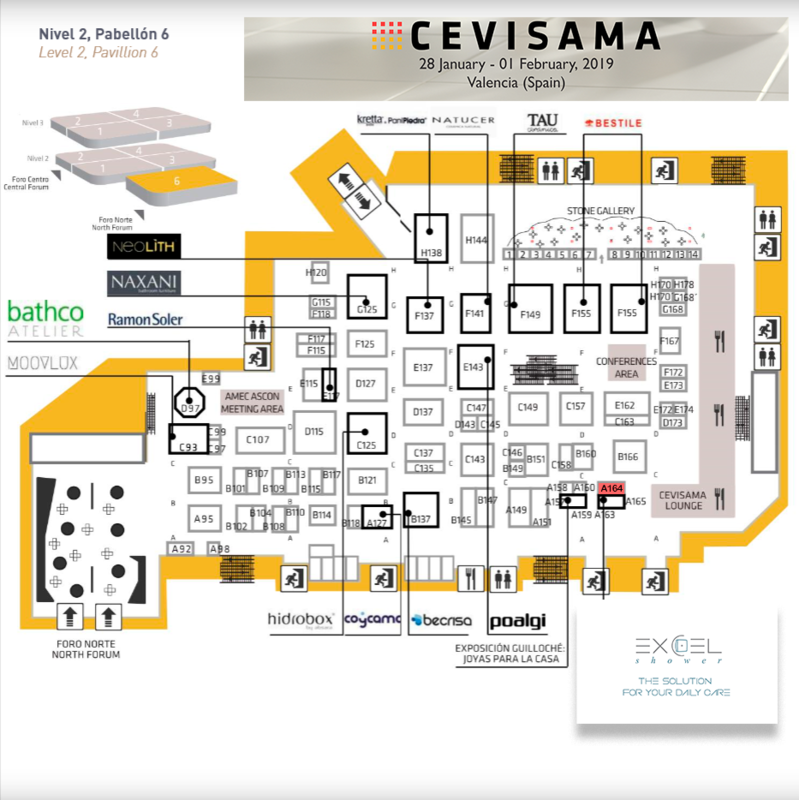 EXCELSHOWER would like to invite you to our stand N2- P6 -A164 at CEVISAMA 2019. The Spanish ceramics industry along with more than 836 global exhibitors of bathroom and natural stone, will be showcasing its 2019 novelties spread over 100.000 square meters. You may click on the link below to access your free entry and avoid venue delays. We will be honored to have you and share our new collections.